In relation to the report from July 2012 about preparation to parliamentary elections in Lithuania, on January 3rd 2013 OSCE published a comprehensive report on the course of the voting itself, which took place in October 2012. The aim of the report was to present suggestions which could be used by Lithuanian authorities in future in order to improve the electoral process in Lithuania. 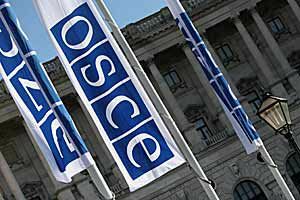 OSCE focused on the position of national minorities during the parliamentary election. The report unambiguously notices the necessity of lowering the current 5% electoral threshold, which will enlarge the representation of national minorities in the legislative process. OSCE advises to consult all changes of constituencies with national minorities, if the changes are to be introduced in areas where representatives of national minorities live. It would be a great facilitation if, on the areas inhabited by representatives of national minorities, all information concerning elections, as well as ballot papers, were prepared in the languages of the national minorities. It would make it easier for the people who do not know the Lithuanian language to access information. Secondly, OSCE suggests to increase control over overuses related to buying votes and to introduce greater transparency to the system of financing electoral campaigns by political parties. As it appears from the information which was passed by the Central Electoral Commission, 150 complaints related to the methods used during the campaign were registered, that is illegal agitation, placing posters in places without obtaining a permission or publishing information about candidates which was not true. The European Foundation of Human Rights sees the published repost as a good beginning of changes in the Lithuanian electoral law, which could improve the level of national minorities’ representation in the Lithuanian authorities.